"Am in great trouble, please come at once. Duds." Lady Lupin Hastings read the telegram through twice, with a puzzled expression on her pretty face, then she handed it back to her maid. "Staines," she said, "can you make head or tail of this?" "What do you think I am likely to do? Elope with Olivia?" 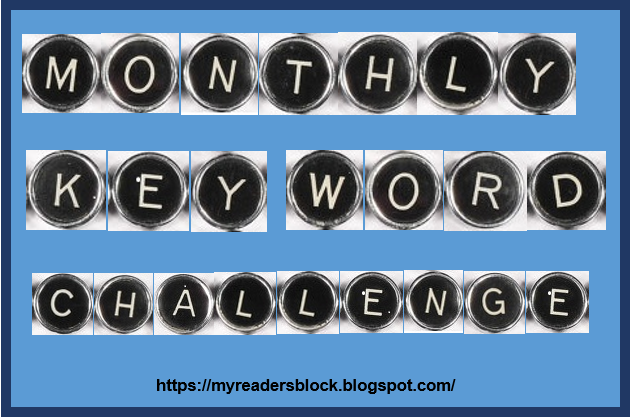 Last year Tasha at Book Obsessed asked: Are you ready to take the challenge!?! And I said: She's kidding right? Me, not take a challenge? That's like Star Trek not boldly going. 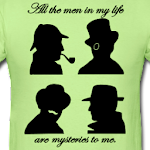 Or Holmes not detecting. Of course, I'm ready for the challenge. This one and that one and those over there too. And this one sounded particularly fun. Slowly, Slowly in the Wind by Patricia Highsmith is a collection of short stories that is full of oddly disturbing tales. From the pond that comes to life and takes the life of a woman and her son to the psychopath who becomes a little too involved with a wax museum full of murderers, the world in Highsmith's stories is just a little claustrophobic and irrational. Highsmith tackles the themes of believability and guilt; justice and injustice. There is the man who writes a life's worth of novels in his head and the man who exacts revenge on his neighbor for slights real and imagined. The oddest story of all is the last one--a strange, cautionary tale about ecological damage and the revenge that nature might take on humanity if we go too far. More science fiction thriller than mystery, it reminds me of Harlan Ellison at his weakest. 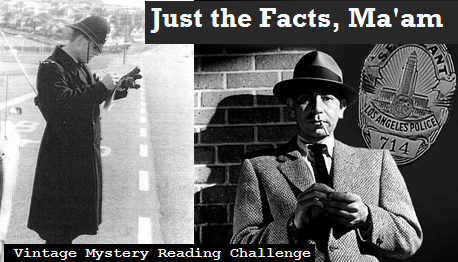 I think perhaps Highsmith should have stuck to things mysterious rather than venture into things science fictional. The theme of revenge is a good one--just a little too fantastic in this last story. Overall, a very good collection. Thrilling, memorable and just a bit on the creepy side. Four stars. Well, I just cranked up the CRNG machine (did you hear the whirring and clanking?) to see who the lucky winner of our E-copy of Death in the Memorial Garden is going to be. And.......drum roll, please.....our winner is.....Entry #2. That means that srvalli from Valli's Book Den will soon be hearing from our Blog Tour coordinator, Gina to discuss delivery of the e-book. Congratulations, srvalli! And thanks to all who signed up for the give-away! 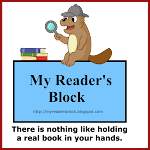 Also--thanks to Cheryl and Gina, the masterminds behind the Partner in Crime Blog Tours for putting these virtual book tours together! SYNOPSIS: Just as the sexton is about to inter the ashes of one of Grace Church’s last wealthy patronesses in the Memorial Garden, he unearths a wine crate containing thashes of an unknown. Next to the ashes is a distinctive pair of shoes. Not only are the woman’s relatives furious at the interruption, but they soon have grounds for a lawsuit: yet another piece of the church’s tower comes crashing to the ground. Go HERE to signup. Link closes Midnight to night. Slowly, Slowly in the Wind by Patricia Highsmith: assembles many of Patricia Highsmith's most nuanced and psychologically suspenseful works. Rarely has an author articulated so well the hypocrisies of the Catholic Church while conveying the delusions of a writer's life and undermining the fantasy of suburban bliss. Each of these twelve pieces is a crystal-clear snapshot of lives both static and full of chaos. 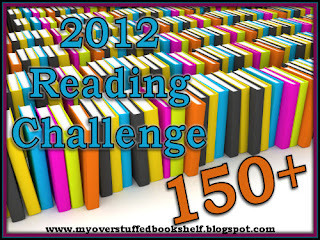 During 2011 Amy at My Overstuffed Bookshelf sponsored the 100+ Reading Challenge. Then in 2012 she decided to up the ante to 150+....just today I hit 151 books read. So, chalk up another challenge completed! I'll still be reading (there's still a little over a month left!) and adding to the list, but officially the fat lady has warbled on this one. It started with little things, with things of no real significance. 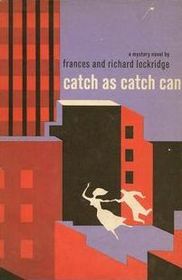 And so opens Catch as Catch Can by Frances & Richard Lockridge. The whole mystery starts with the little things....Linda Parks comes home to the apartment she shares with Joyce Holbrook expecting to share a dinner of pork chops and salad with her roommate. She finds the door unlocked (expected) and the apartment empty (not). She's not too concerned at first--after all the women have a rule that if something else comes up (like a casting call or a man), then "something else" comes first, and so she believes that something else must have come along. But then she finds the note. A note addressed to "Lindy," a name that no one has ever used for her--ever. A note which makes a big deal about Joyce going away for the weekend with Nicholses, a couple that Joyce emphatically believes Linda remembers. Only she doesn't--she doesn't believe she's ever met anybody by the name of Nichols. And it seems that Joyce has packed her autumn suit for a weekend away during a summer heat wave. And Joyce has grabbed Linda's robe by mistake, a robe that couldn't possibly fit the taller, bigger boned woman. As more and more little things add up, Linda becomes very uneasy about her missing roommate and decides to consult someone unofficially. She decides to lay all her little things before Geoffrey Bowen, a young man who works in the District Attorney's Office and whom Linda definitely does remember meeting at a party. She contacts Bowen and, after overcoming his reluctance to get involved (he's afraid that this will be one of "those" situations), they arrange to meet at the train station so she can ride out to the country with him and tell the story on the way. That's when the real fun begins--because somebody does not want Linda to talk to Bowen and that somebody will go to a great deal of trouble to make sure she doesn't. What happened to Joyce? Why did a Fuller Brush man stop by their apartment and only their apartment? Who is the man masquerading as Linda's father? And why does he think Joyce told Linda something before she disappeared? These are all questions that must be answered before the mystery is solved. 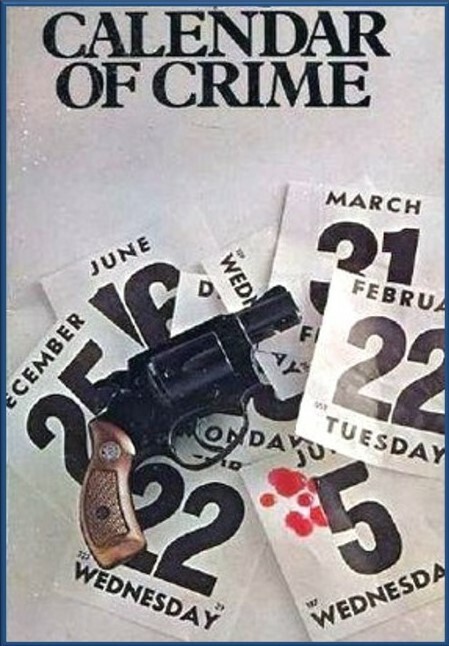 This is one of the few non-series mysteries of the more suspenseful type written by the husband and wife team. Most of the stand-alone titles were written by Richard after Frances passed away in 1963. This, I think, is also one of the best stand-alone titles with the Lockridge name on it. Richard tended to write the stand-alones with a lot more of a thriller flavor once he was writing on his own. While Catch as Catch Can does have a bit of the thriller feel to it, it is still owes quite a bit to the cozy. I really like Linda Parks as the heroine, particularly in the last half of the book. Not to spoil anything, but Geoffrey comes to her rescue only to find that (for a 1950s kind of girl) Linda is perfectly capable of helping rescue him when needed. A light, fun, very engaging read. Easily managed in one sitting. And I enjoyed every minute. Four stars. 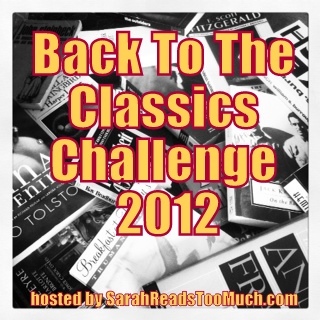 Classic Mystery/Horror/Crime Fiction: The Maltese Falcon by Dashiell Hammett (4/4/12) Also, although not linked up: Dracula by Bram Stoker; The Hound of the Baskervilles by Sir Arthur Conan Doyle; The 39 Steps by John Buchan; and The Invisible Man by H. G. Wells. 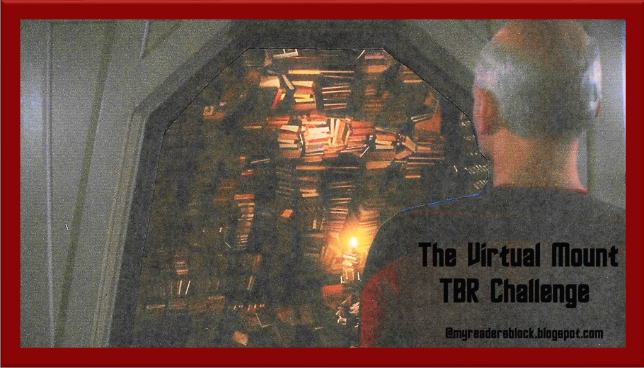 Here I am signing up for my very own Mount TBR Reading Challenge (click link for rules and sign-up page). I'm such a bookaholic that I'm going straight for Mt. Everest with the hopes that I'll be able to build a rocket ship when I reach the top and shoot on up to Mount Olympus on Mars. But the official sign up is to try and knock out 100 of my very own books that just happen to be in gigantic piles of TBR books stacked up around my backroom. 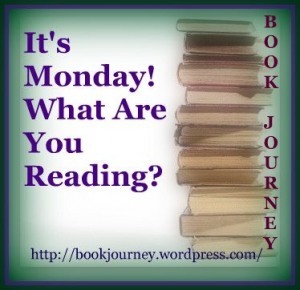 I don't have a TBR shelf. Oh, no. 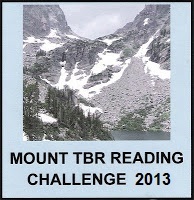 I have "Mount TBR"...possibly a whole mountain range.